Full Circle Health Services in Union, New Jersey, offers personalized home care assistance, matching clients with the certified caregiver they are most compatible with. Our Registered Nurses will create a customized plan of care to meet each client's individual needs. In addition, we perform a safety inspection of their residence. With our home care services, our clients remain comfortably in their own homes and receive the daily assistance they need. You will have peace of mind knowing your loved one is in the hands of a punctual, experienced, and certified home health aide. 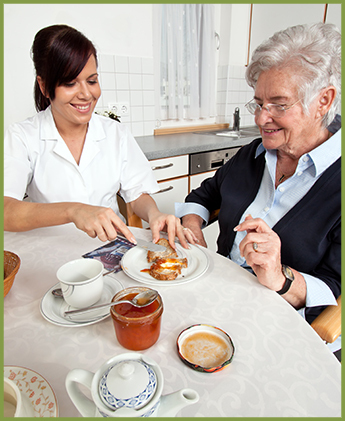 All of our home health aides are licensed by the New Jersey Board of Nursing.